Strong from the club success of his last albums and other collaboration releases with DJ SIMON CARTER, TECNOID and other AVARICE IN AUDIO, our favorite Australian hi-NRG techno industrial producer STUDIO-X strikes back with a quite surprising new full length album that will destabilize more than one.When joining hands with his new partner in crime Bridgette Collins, Lawrie Bayldon decided to break the rules by incorporating some new styles into his characteristic industrial dance sound. And while accidentally discovering a vocal fx chain that reminded them of MARILYN MANSON and other similar goth vocalists, they even went the crazy extra mile and started adding vocal lines on many songs of this new album, which is quite unusual for STUDIO-X who normally always mostly focused on sampled vocals manipulations. "Wrong" is the living proof that nothing can go wrong once an artist dares taking new challenges rather than simply repeating an overused recipe of success.Of course big beat anthems like the apocalyptic zombified "Approach", the funny binary dance track "Question", the next video gamers ("Left For Dead 2" fans: just shoot it!!) top favorite upbeat cut "L4D2" or yet the hard-hitting technoid "Vampire" all evoke the original STUDIO-X sound DNA and are all potential next club hits, but this new album also shows new sound directions with some kind of break beat styles incorporated into their groovy bass lines, while the verse/chorus vocal lines add a true catchy "song" dynamic to these new titles (the highly melodic "Slave", the soul-crushing dark elektro "Asylum", the contagious distorted "Disease", the EBM-ish "Media" or yet the aggravating and crazy "Motivation"). And other songs like the melancholic noir electric pop "Wrong" or the poignant "Voices" and its emotional female vocal manipulations and its orchestral grandeur simply expand the sonic horizon of this stunning album that will grow on you in no time.More than ever, STUDIO-X also sharpens here their unique sense of self-mockery and heavy criticism against society and humanity struggling with itself in general, adding that characteristic sense of humor that gives that extra touch to this dancefloor album on a sometimes much too serious dark industrial music scene. 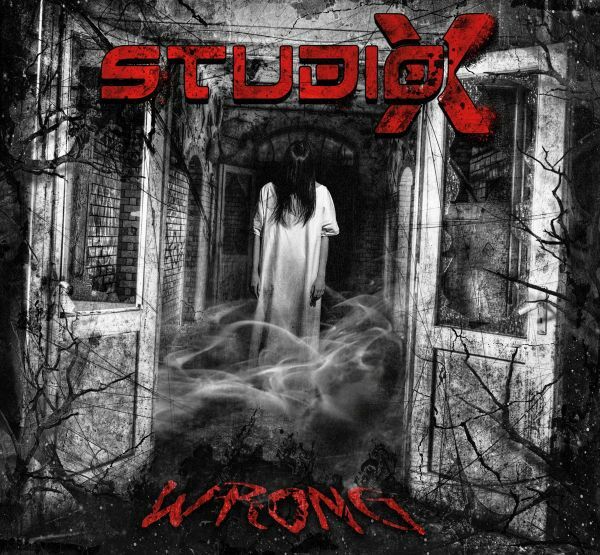 A "fun" dimension reminding us many times of the other Australian act SN0Gs at his best and most extravagant moments.With "Wrong" STUDIO-X play it right and show people that you can express new styles of music but still incorporate your authentic sound. This unconventional album is a mixture of everything from entertaining to dark and beautiful and opens doors to a new trend towards eclectic electronic music with attitude.